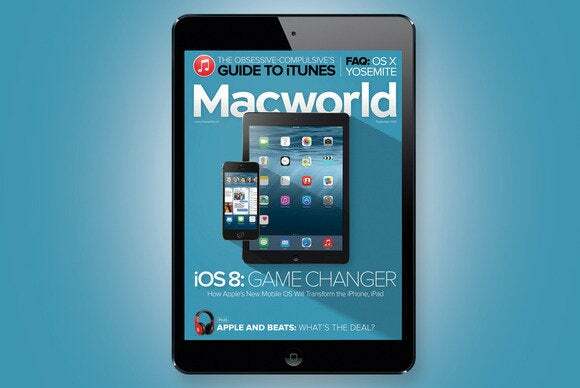 In the newest Digital Edition, we dive a little deeper into the new features and capabilities of the upcoming OS X Yosemite and iOS 8. Judging from what we learned at WWDC—as well as from the testing we've done on early versions of the new Mac OS—Yosemite provides a fresh look and a host of useful improvements and tweaks. iOS 8, meanwhile, promises to be a game changer, particularly in the way apps communicate with each other. • Organize your iTunes library: Music collections can get messy if you leave them alone long enough. The key to keeping them in order is to be diligent about tagging your songs. Kirk McElhearn, the iTunes Guy, offers some tagging advice. • Nine technologies that Apple is disrupting: Apple’s innovations put the company in competition against a number of third-party developers. • iOS 8 and education: According to one iPads-for-schools expert, the new mobile OS will bring notable benefits to students and teachers—but iCloud Drive may be problematic for novice users. • Apple and Beats: We run down the specifics of Apple’s acquisition of the headphones maker and music service, and we speculate on the effects that the deal will have on both companies’ audio offerings. • The Macworld Lab experiments with some not-so-practical uses for Thunderbolt. • Avoid making silly mistakes and looking foolish online. • See how easy it is to tag your iTunes library items and clean up messy tags.